The Square Toe is becoming a staple with several cowgirl boot makers. 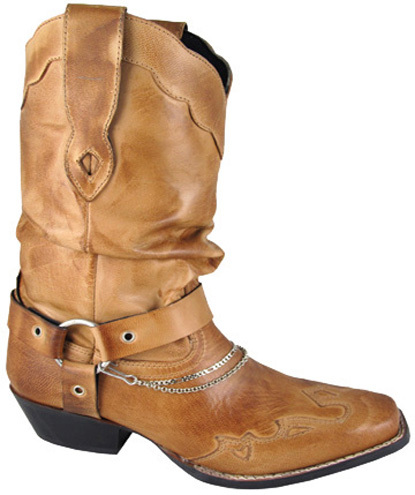 Beautiful Wing Tip on the foot makes this women's western boot an easy keeper. Comfortable slouch top with removable boot chain gives it some rugged feminine appeal. This "Avalon" boot is sure to please!